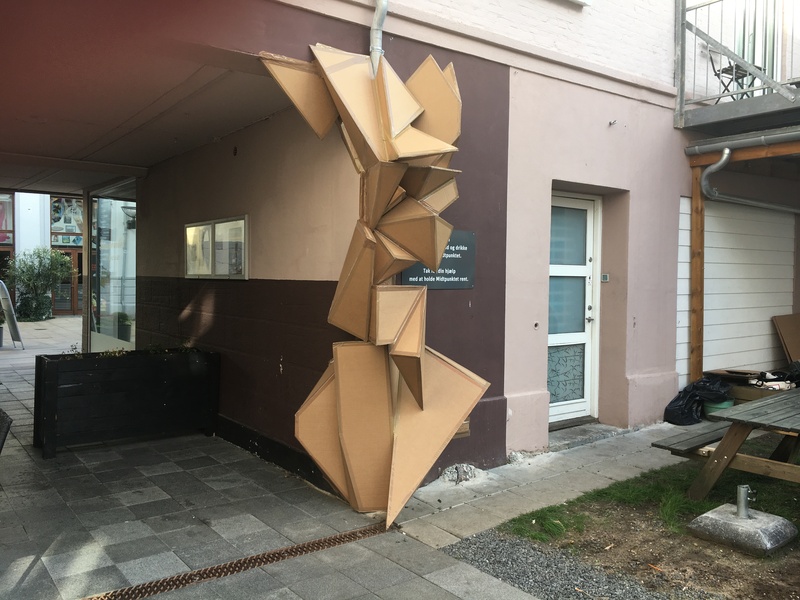 “Udvækst” – A cardboard-installation in a passage in Vejle. An expansion that has grown out of the passage. It invokes its existence and insists on the presence in the swirling urban space. “Gevækst” is a growth in Spinderihallerne in Vejle. An ukurant hybrid form, which has stuck as a virus.